With 36 establishments serving coffee in Cronulla, you have to offer something rather unique to stand out and stand the test of time in this throng. New Grind cafe - bigger, better, growing stronger. 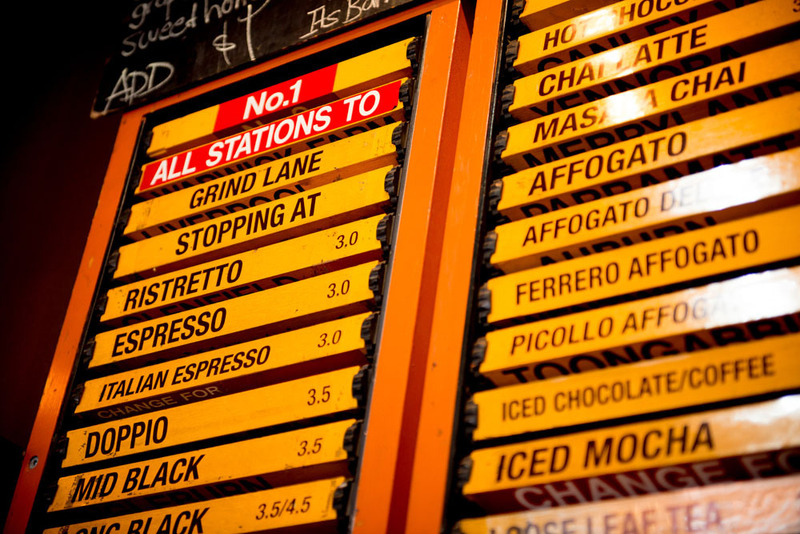 Grind Espresso is celebrating 10 fantastic years serving gourmet boutique coffee to locals, Sydneysiders and tourists with the official launch of their eclectic new establishment and funky original website that engages all its patrons. "We are about boutique brewing, good times, good vibes and good tunes." Has his vision panned out 10 years later? Let's take a peek. 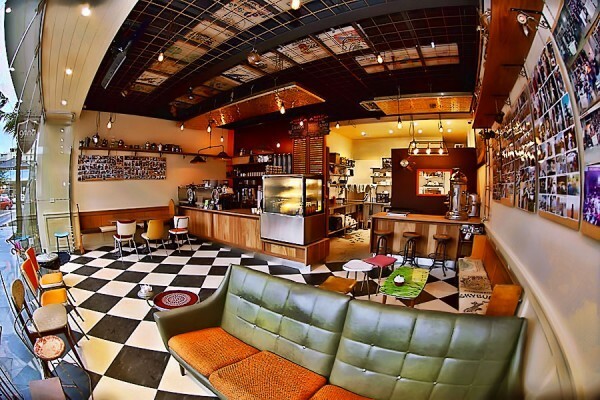 Coffee stations - choose your caffeine stop! How do you like your coffee brewed? 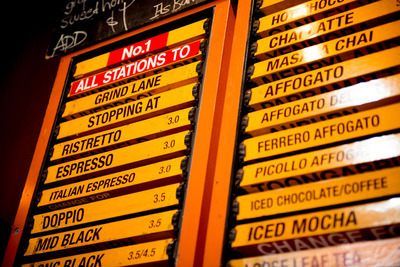 Check out their 'Coffee Stations' old school train station signs on the wall. You would have to be a true gourmet coffee drinker to understand all the names and taste the difference. Then there are the exotic coffee bean blends, with catchy names from far, far away places. Do you want more variety? 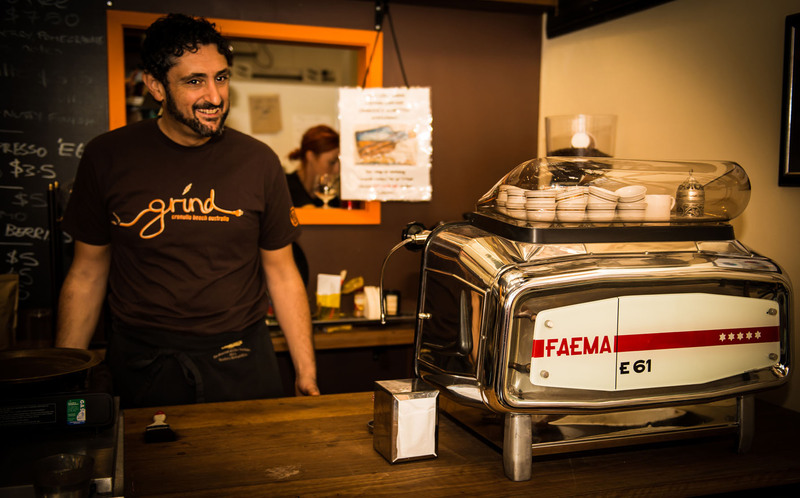 One of the coffee machines - Richard's pride and joy - is a traditional 1961 Faema espresso machine which brews those true specialty delights. A little wasted on me, I secretly pour 2 sachets of sugar into those devilish little black shots - just don't tell the staff, I'm a latte girl at heart. Owner Richard and his beloved faema E61 expresso machine. They don't make them like they used to! How friendly and fun has it become? Somewhere between a strong community and a happy cult has emerged. There is plenty going on, social events, music, Facebook community where people feel part of the cafe, a sense of belonging. How popular is this place now? I believe the record was on Anzac Day this year, people queued along Grind Lane spilling into Surf Road, a 45 minute wait to order. It reminded me of Seinfeld's 116th episode, the Soup Nazi. The wait wasn't a big deal for most as part of the social aspect is striking up a conversation with the person behind or in front. It's always buzzing with activity and conversations float through the air. People chat standing outside, sitting inside, waiting in line, the energy is sky high. I think the caffeine has had a long term effect on the staff and patrons. If they don't drink coffee they certainly have second hand caffeine hits from inhaling the beans. It isn't all about coffee, a great culture has been created for people to meet and relax. Richard is a passionate and accomplished guitarist collaborating with local musicians on three CDs. Alpha Omega 1, Alpha Omega 2 and Calabro, Whear and Bova as well as performing at Brass Monkey in Cronulla. The music won't put you to sleep, it's fast, theatrical and entertaining. A real community based website linking Google, Facebook, Twitter and blogs. You can join the 'Grind Army' and become a 'Grind Soldier' by uploading your photo, bio and details. A great way to keep in touch with friends or make new friends. There is an activity wall and newsletter for upcoming events. 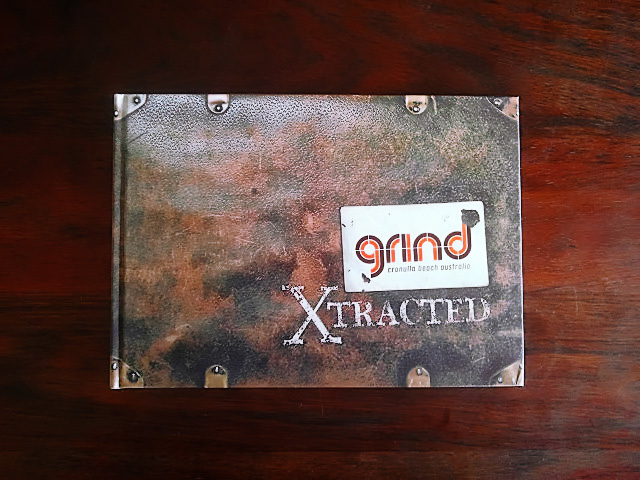 Read about Grind's history, browse through the hundreds of photos relating to Latte Art, Coffee Antiques, Events, 10 year history, and the famous 'I'd rather be at Grind' sign held by loyal customers in just about every place and situation you could think of. From Las Vegas to the Pyramids, skiers to scuba divers, brides to babies, it's a little like Where's Wally of coffee. Online shop products of clothing, music CD's coffee beans, key rings and books. An exciting and rather unique website created by The Core. Yes, Grind has become a bit of a fun cult. 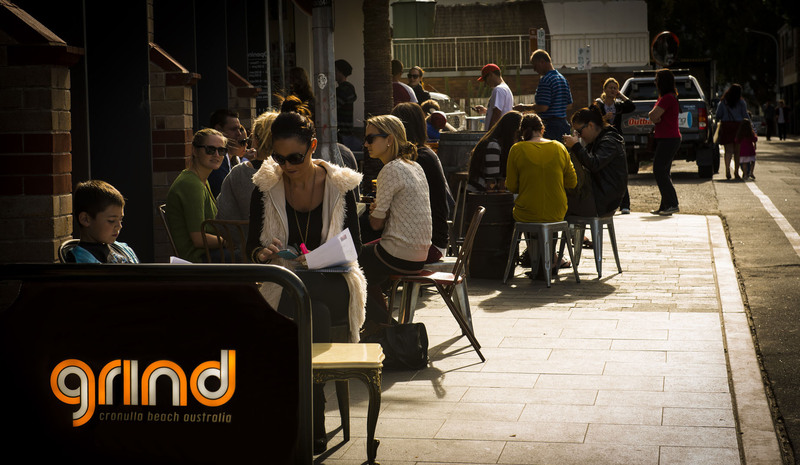 Make the effort to come to Cronulla, grab a coffee, mingle with the locals and listen to good music, or jump on the website and see what you are missing out. What a great 10 years. 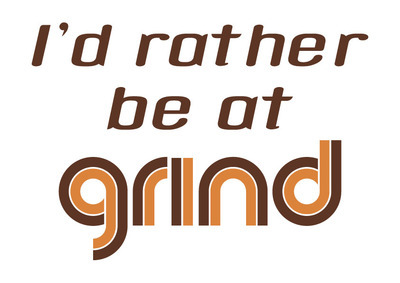 Congratulations to all who made Grind Espresso into an institution. Cost: Nothing if you are gawking.